Have you ever imagined touring the most famous GR in the heart of the Alps? Surely … Well, then stop pursuing this dream and join us to get to know first hand the most beautiful and hidden places and secrets of the mythical Mont Blanc massif. Requirements? Fill your backpack (with about 7kg on average with only necessity will be enough, away from the 15-20kg that many carry with food and material unsuitable for our needs). Prepare your physique and your mind to assist during 11 breakneck days to a fascinating tour by the grand spectacle that nature will give us walking between mountains, forests, valleys, lakes, and glaciers formed millions of years ago. A beautifully designed tour – trails, routes, shelters … – for people like you, avoiding the more traveled itineraries so that the final perspective and memories are unforgettable. Designed for experienced walkers and immersed in a friendly atmosphere characterized by a personalized treatment, small groups (maximum 12 pax), attention from beginning to end, excellent logistics and guidance in English, Spanish and Italian. 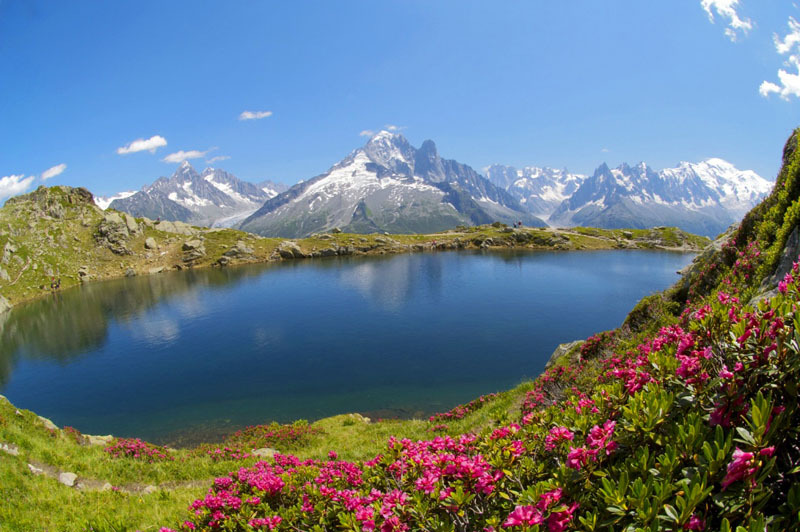 Come from the majestic Mont Blanc domain (4,810) or the Agujas Rojas Reserve to the thick coniferous forests between spectacular mountain lakes – such as the Combal or Lake Blanco – and stunning glaciers (La Mer de Glace, Domes de Miage, Trient, Bionnassay …). At whose feet we will rest in comfortable shelters after the demanding, but comforting days of one of the most desired treks in the world. 170 kilometers of demanding track with more than 12,000 meters of accumulated difference that will test your physical capacity, resolution, and spirit of improvement, but in which there will also be time for recreation visiting picturesque places and villas such as Chamonix (France), Courmayeur (Italy) or Champex (Switzerland).